Brattleboro Police Chief Michael Fitzgerald talks about health and safety issues at the current police station during a public meeting on the proposed Police-Fire project Nov. 21 at Green Street School. To learn more about the project, visit bit.ly/bratt_police_fire. BRATTLEBORO—The first public meeting on a reworked Police-Fire Facilities Project started with a good omen. Town staff quickly added folding chairs to the back rows because audience numbers far exceeded the expected 30 — even for a meeting early on the Saturday morning before Thanksgiving. Audience members later praised as thorough and comprehensive a presentation by Town Manager Peter Elwell and town staff, who offered a reboot of the project after nearly a year’s hiatus. The Selectboard delayed repairs to the three stations last summer after a special town-wide referendum defeated the previously approved fiscal year 2015 town budget. The veto also kiboshed the previously approved $14.1 million in overhauls to the fire and police stations. The board now seeks public input, questions, and concerns on alternative rehabilitation plans for the town’s two fire stations and police department. Years of deferred maintenance have left the stations with safety issues and departments with outdated buildings. 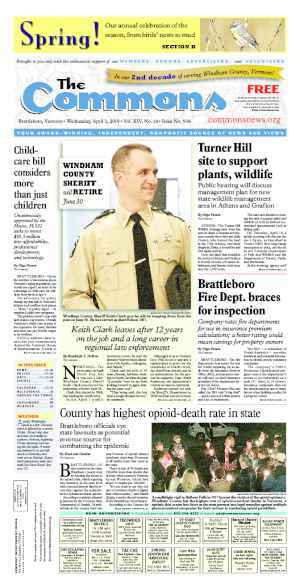 Across all the plans, the designs for West Brattleboro and Central Fire Stations remain mostly the same. Where the alternatives differ the most is in their approaches to the Police Station. Two of the alternatives include keeping the Police Station in its current location in the Municipal Center. 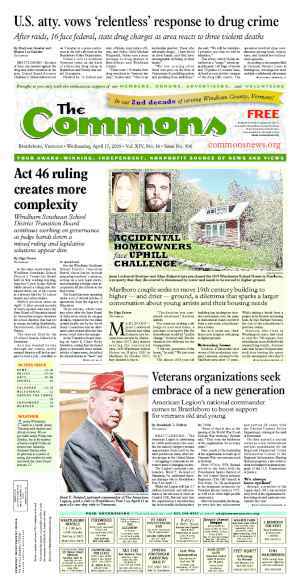 A third alternative encompasses moving the department to 62 Black Mountain Road, a building owned by The Brattleboro Reformer. In his opening comments, Selectboard Chair David Gartenstein acknowledged the laborious process of attempting to goose the rehabilitation project off the ground. “This meeting feels for me like déja vù all over again,” he said. Townspeople first unsuccessfully attempted to address repairs to the three stations seriously in the 1980s, Gartenstein said. Another attempt happened again in the 1990s. In 2012, Representative Town Meeting members approved $14.1 million to overhaul the buildings in a 3:1 vote, he continued. After months of work — borrowing $5 million in state bonds, creating building designs, gearing up for construction — and months shy of breaking ground, the project hit a wall. Voters, including many of the Representative Town Meeting Members who had supported the project in 2012, experienced a change of heart. “It had always been clear it would cost quite a bit of money to do the work,” Gartenstein said. The project’s corresponding tax increase appeared to be more than some felt affordable. 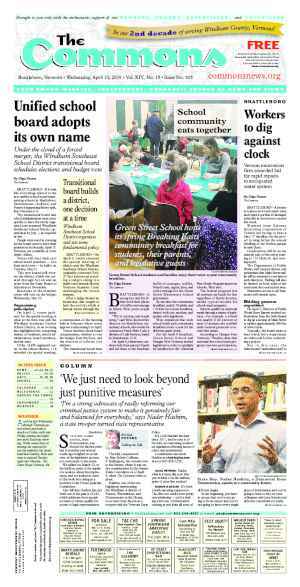 One organization, Brattleboro Common Sense, submitted a petition to bring the fiscal year 2015 budget to a town-wide vote, and voters ultimately rejected the town spending. The Selectboard put the project on the back burner while the Police-Fire Facility Building Committee, and later Elwell, investigated cost-cutting measures. “We now desperately need to move forward with action at all three locations to correct health and safety problems and correct function deficiencies,” he stated in his presentation. Elwell walked the audience through the renovation alternatives. The town has already spent $955,327 of the $5 million bond it took out a couple years ago for the initial project work, funds not included in Elwell’s estimates for the various alternatives. 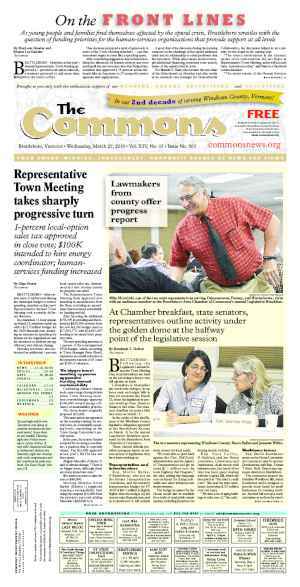 • If the town sticks to the initial plans created in 2013, the cost adjusted for inflation would total $14.1 million. This scenario would include rebuilding the West Brattleboro Station, upgrades and constructing an addition at Central Fire, and building an addition at the Municipal Center and reconfiguring the building for the Police Station. • What Elwell termed the “minimum prudent plan” at $5.4 million would accomplish a little bit above the minimum required but still only update the buildings into the next couple of decades rather than for the next generation, as the original plans intended. • Another alternative includes keeping the police station at the Municipal Center and conducting extensive upgrades, renovating, and building an addition. Depending on the number of renovations, this alternative will cost between $12.8 million and $13 million. • The alternative receiving the most buzz? That one, at an estimated $11.8 million, would move the Police Station north to Black Mountain Road. Police Chief Michael Fitzgerald assured the audience that officers could provide adequate coverage of the town even if the station moves from its downtown location. According to data collected by the BPD, most non-emergency response times from Black Mountain Road would increase by a couple of minutes compared to response times from the Municipal Center to the same locations. But more often than not, officers respond while on patrol, not from the station, said Fitzgerald, noting that the department received 237 calls between Nov. 1 and Nov. 15 for which officers needed to drive to a call. Overwhelmingly (65 percent), the officers responded while on active patrol in the community, he said. Only 35 percent of the time did an officer respond from the Municipal Center. “We come to you, you don’t have to come to us,” Fitzgerald said. Someone in the audience joked that police and fire are the last department to make house calls. Town Meeting Member Spoon Agave questioned whether the town should move forward with the project. Agave said that the range of options and prices presented Town Meeting members with a huge choice and wondered: Was the choice even one they could make without a broader and longer-range understanding of the project and the community who would pay for it? Would the Town Meeting members make a different decision if they knew that many in the community spent half their earnings on rent? Or that some needed health care? What about long-term energy needs? he asked. “Would we change our decisions now if we had a realistic vision of the future?” Agave continued. He added that the town lacks an understanding of where it is now. “It makes me inclined to do less rather than do more,” Agave concluded. A number of speakers disagreed with Agave’s concerns. Pal Borofsky said the town should act now, pointing out that costs will only increase the longer the community waits. The officers and firefighters work to protect the community, he added. “We’ve got to protect our people,” Borofsky said. One Brattleboro woman said that the town has billed the project as important for the upcoming generation. When the town discussed it in the 1980s, she was the upcoming generation. It’s frustrating to not see the project completed yet, the woman said. Yet, she added, as a soon-to-be homebuyer, she realizes that the finances are tough. She’s expecting her property taxes will equal her mortgage. Gartenstein said that the Selectboard does not agree on the best way to proceed. As the board and Town Meeting Members move forward with the project, they will have to balance the stations’ needs with a tax burden that people can live with. Town Meeting members will have the final say on which alternative the town pursues. As always, those decisions are subject to citizen petition initiatives that can lead to a town-wide Australian ballot vote. Gartenstein noted that the board might also choose to hold a town-wide non-binding referendum on the project alternatives. Elwell has proposed that the board hold a Special Representative Town Meeting in February to vote on which path the town will take. Construction would start in the summer of 2016. Two more public meetings are planned: one on Monday, Nov. 30 at 6 p.m., in the Academy School Gym, and the second meeting Wednesday, Dec. 2 at 6 p.m., in the Brattleboro Area Middle School multi-purpose room. Residents have been notified of these meetings in a special postcard mailing. Originally published in The Commons issue #333 (Wednesday, November 25, 2015). This story appeared on page A1.